I’ve lived here 16 years. Today was the coldest day, ever. I know I like to use the word EVER, like thisEVER – By itself, for emphasis. But it really was the coldest day. Good day to stay in and look at the snow drifting on the street… you know when it looks just like dry ice, after you pour liquid over the top?? Which btw, reminded me of something that happened a little while back, when I heard the funniest thing. EVER. I was sitting in church, in a meeting for young women. We were celebrating one of our young women who just turned 18. Jan, our leader in charge read off a nice little tribute to Abby, who is the cutest 18 year old girl, ever. Then Abby said “Yay! Now I can buy dried ice!” Who says that??!! You’re going to love these. The kosher salt gives them a really amazing salty-sweet flavor. No spices to take away from the pure oatmeal-raisin base. Best new favorite chewy oatmeal raisin cookie. Cream butter and sugars together. Add eggs and vanilla, and beat until fluffy. Place flour, baking soda, baking powder and kosher salt in bowl with wet ingredients. Mix just until incorporated. Add 3 cups oats, mix with large spoon. Fold in raisins. Drop dough onto lightly greased cookie sheet, or sheet lined with parchment paper. Bake at 350 degrees for about 9-11 minutes or until golden brown. You may also use a convection setting and bake cookies at 375 for about 7 minutes. - I scooped these out in small one inch balls and baked about 12 per sheet.-The recipe called for 1 1/2 cups of raisins, I thought 1 cup was just right. Those are the most beautiful cookies I have ever seen. I can't wait to make them. One comment……why didn't you send Your Jacob down to my house with some??????? Sometimes you are the worst friend EVER. (you know I am kidding, but I have to make sure everyone else knows that too). Wow these look really yummy! I love chewy oatmeal raisin cookies! I enjoy your blog…found it on LDS something awhile back and come back to peek at what you are doing now and then. 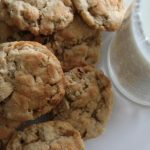 This cookie recipe is very similar to mine…and it is the best recipe EVER…just ask all of my sons-in-laws! I also use this as a basic recipe to add anything I want like M&M's, chopped nuts, choco chips and other chips, coconut, etc…and it is always the best recipe EVER with anything! And they freeze well too as does the dough. I've become addicted to Cutler's lemon Melt away cookies. 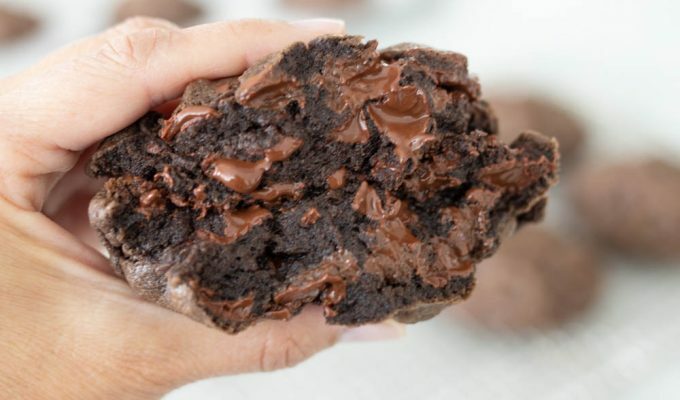 Do you have a good recipe for Melt away's? It doesn’t get much simpler than this recipe!. Looking for old fashioned oatmeal cookie recipes, this was just what I needed. I remember how very good they were too. Hi Darrah, there’s nothing like an old-fashioned oatmeal cookie. I love how simple it is too. Thanks for your comment!